Synopsis: A University physics professor assembles a team to help create a poltergeist. Thoughts: With a string of UK produced vampire, werewolf, and other random monster movies that had its peak in the 60’s and 70’s, Hammer Horror has been resurrected in recent years with higher profile releases like 2012’s The Woman in Black and its sequel waiting for a release date. The studio seems to have left its penchant for creature features in the past and is focused on feeding your terror appetite with a supernatural twist. 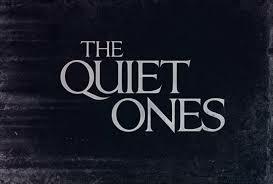 The Quiet Ones is their new film and what the trailer lacks in originality (haven’t we seen this set-up dozens of times lately?) it makes up for in the promise of a period horror flick that makes good use of the haunted house setting. If I’m being honest, I’m still a bit skeptical of the finished product but as a devoted fan of Hammer and its history I won’t be able to pass this one up.